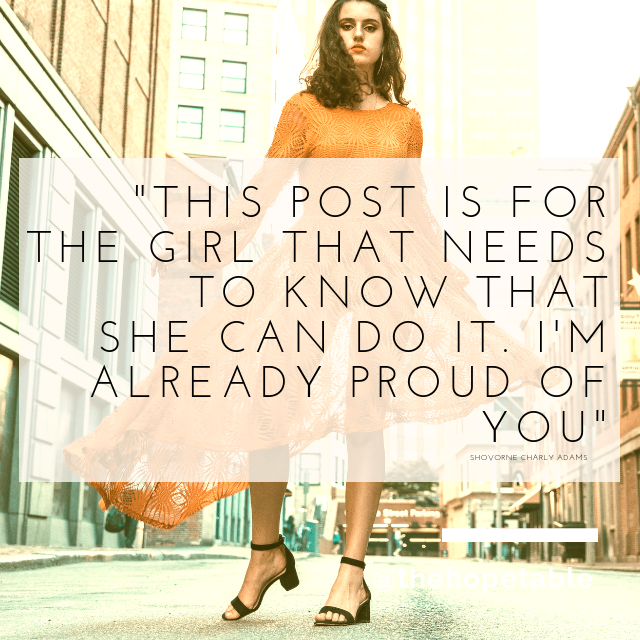 You can do it girl! And I am already proud of you! Deep down you know CAN do it too! 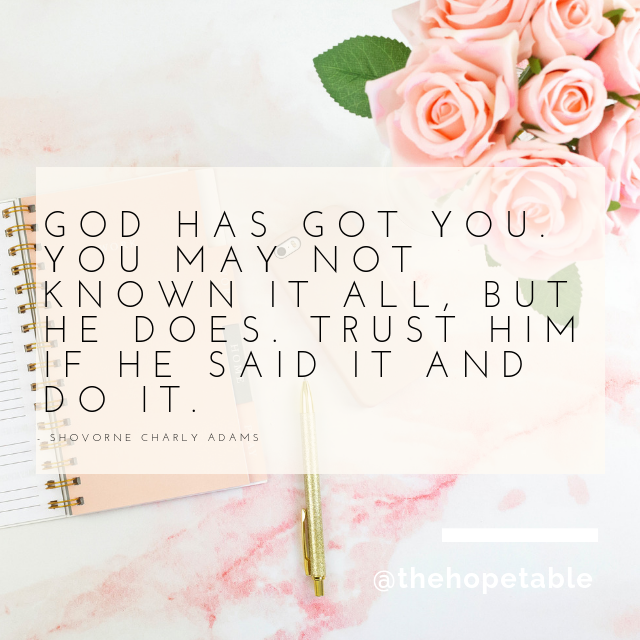 But sometimes just before we to step out in faith and do that new thing, that hard thing, we sometimes experience a flood of doubt, a bit of fear and then we ask am I really meant to be doing this? Despite the God-given dreams, words, confirmations, we sometimes still ask, who am I to be do this? I know you’re scared, afraid, apprehensive and feeling vulnerable, but you are the right person to do this! Even though there are several other ‘even though’s’ you are still going to do it because you were born to do it! 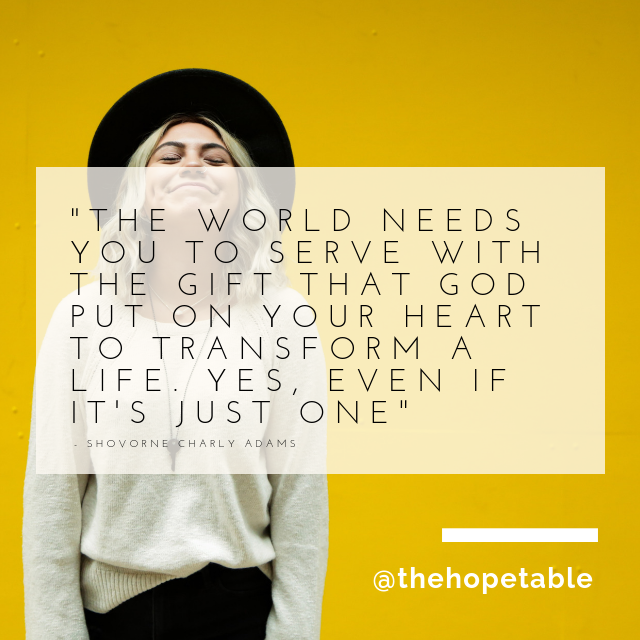 The world needs you to serve with the gift that God has put on your heart to transform a life.Yes, even if it’s just for one person. We have to be willing to serve where God has called us to, whether we reach billions or just one. I know that what Jesus did on the cross for all of humanity, He would’ve done for just one. Girl I see you and I get it! You may not know it all! All you DO Know, for sure, 100%, is there’s a DREAM in your heart that you HAVE TO make a reality. You don’t have to doubt, fear or worry. God has got you. You may not know it all, but God does! Trust in Him if He said it and just do it! Take that STEP OF FAITH. (P.S Promise yourself one thing- after you’ve stepped out in faith, when your dreams start to come true and you are hitting them goals, remember to reach back, grab another sister behind you and encourage her too, to step out in faith. In fact, why wait, here’s a CALL TO ACTION, copy the link to this post and send it to a friend that you are proud of and encourage her to step out in faith too). I love this message. It is so true and encouraging. I often remind myself God has equipped me even when I don’t feel like it and when it might not seem like it. I love the ending to help to another friend that needs the push. That’s the best thing we can do for each other and a lot of women refuse to help others. What a lovely message! So often women feel we have to step on each other rather than band together. I love this!! This is how I felt becoming a first time mom, going to school and working. Thought I’d fail! But I did it! This was definitely something I needed to hear today. So insightful and uplifting. Thanks for sharing. I love this post. We all need someone behind us, encouraging us and holding us up. Love the positivity! Thanks for the reminder to put our trust in the One who knows all. God’s got this! Beautiful encouragement! And I love the graphics! Have saved a few!! Thank you so much for this positive post. I love your spirit and serving heart. Thanks for sharing! Some times life gets hard and we just need to know that we can make it through the storm. This is so insightful! Thank you for sharing! I think that God must be wanting to tell me something, today. I’ve been a stay-at-home mom for almost 5 years and my youngest is going to start Kindergarten this fall. I’m going to have to figure out what I want to do. I could go back to work, but I’ve been scared about that for many reasons, mostly going back to the fact that I haven’t had a job for almost 5 years. These are the kinds of messages I want framed around my bedroom mirror. Affirmations are so important! I love love love this! We all need to hear that we are doing a job from time to time! Thank for this! I’m starting a new solo business soon and leaving my son for the first time to do the training so this speaks to me! So glad I read it today!!! Great encouragement to go after our goals. Amazing things happen when women don’t let fear get in their way.